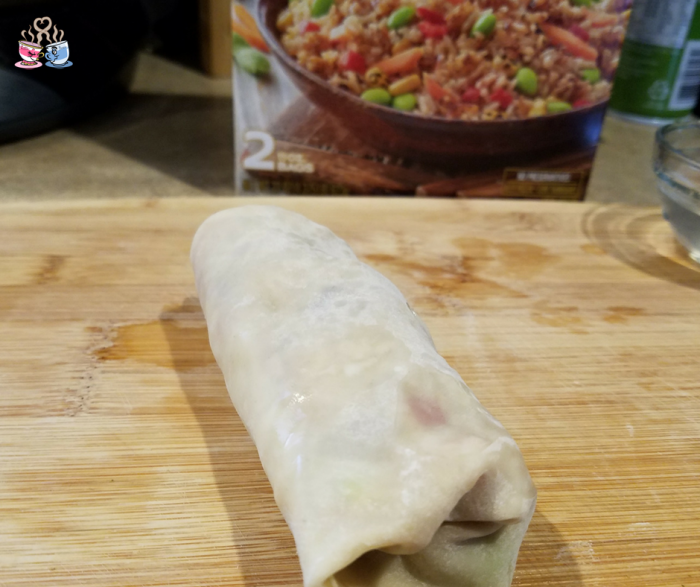 As a Ling Ling Ambassador, I was excited to create a favorite recipe for you with these Fried Rice Stuffed Homemade Egg Rolls. These are 100% vegan, healthier than most egg rolls, and seriously satisfying. A baked version that comes out absolutely perfect? This is going to become a new easy favorite meal for your family. Making easy meals for my family is always a priority these days. With my son in school and my business revving up for the busy holiday season, I am always looking for great all in one meal. 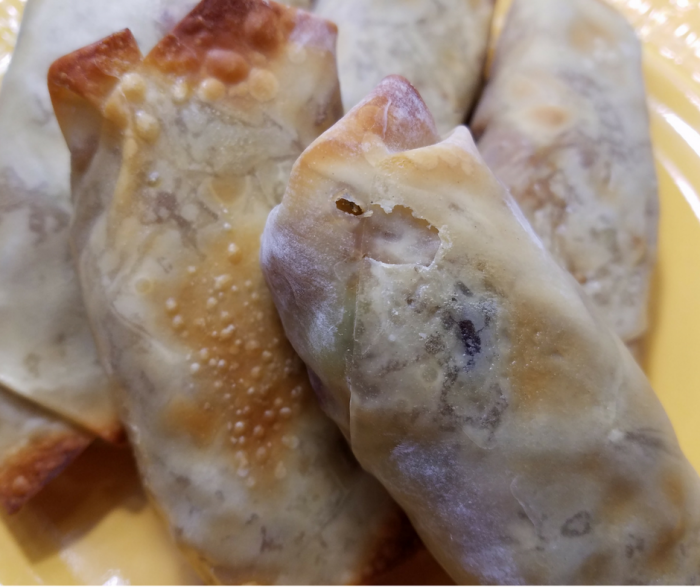 These healthier baked homemade egg rolls pack a great punch of flavor and are far easier to make than the traditional method. We came across stuffed egg rolls last year at a local ramen noodle shop. Instead of the traditional veggies, they stuffed their loaded ramen into a wrapper and fried it. It was a great meal by itself that made one of our favorite items easy to transport. 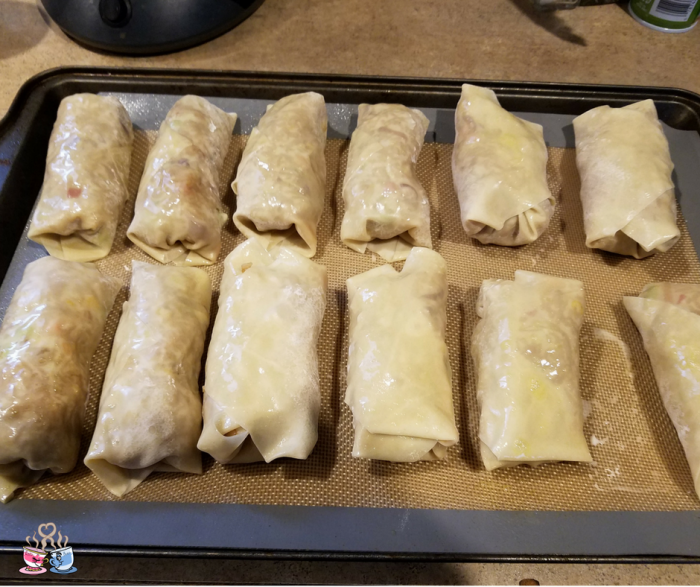 Ever since we tried that, I have enjoyed making my own version of a stuffed homemade egg rolls recipe. This was my latest, and it is absolutely delicious! For this recipe, we are using my favorite semi-homemade option for fried rice. Ling Ling Chinese Style Vegetable Fried Rice is completely vegan, full of flavor, and ready in just minutes. Each box contains 2 packages which are 1 large serving. In this recipe, we only use 1 package to add bulk to our egg rolls. Why choose semi-homemade fried rice? Ling Ling Fried Rice has a great line of 5 dishes inspired by Asian recipes. They include Yakitori Chicken, Yakiniku Beef, Thai-Style Chicken, Chinese-Style Vegetable, and Bibimbap Beef. While we love the Chinese-Style Vegetable because it is vegan and fits into our dietary needs, we have heard great things about all of the flavors! I hate slaving over the stove in the kitchen, and since rice takes a while to cook, these packages are much easier to manage. I can mix into this recipe in no time, and it cooks along with my vegetables. Alternately, if I just want the fried rice, it is done in the microwave in just minutes! Preheat oven to 375 degrees. Prepare a baking sheet with a silicone mat or line with parchment paper. In a large skillet or wok, heat the sesame oil and saute your onion, celery, and carrot for 2-3 minutes. Add in cabbage, garlic powder, ginger, stir-fry sauce, and teriyaki sauce. Mix well and continue cooking for 5-7 minutes stirring occasionally. 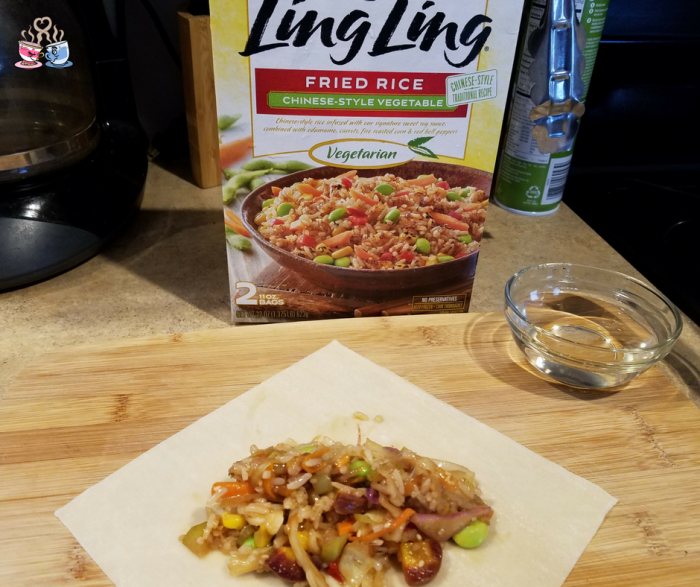 When vegetables are translucent, mix in 1 package of the Ling Ling Chinese Style Vegetable Fried Rice. Cook for additional 4-5 minutes stirring consistently. Remove from heat and set aside. Place egg roll wrappers on a clean surface with a small bowl of water to help seal edges. Add 2 heaping tablespoons of rice and vegetable mixture into center of the egg roll wrapper. Fold over the end nearest you, then the sides, and roll into an egg roll shape. Place onto a lined baking sheet seam side down (we use a silicone mat). Spray the tops of the egg rolls with a spritz of non-stick spray. Bake for 10 minutes at 375 degrees, turn the egg rolls over, and continue cooking for additional 10-12 minutes or until golden brown. 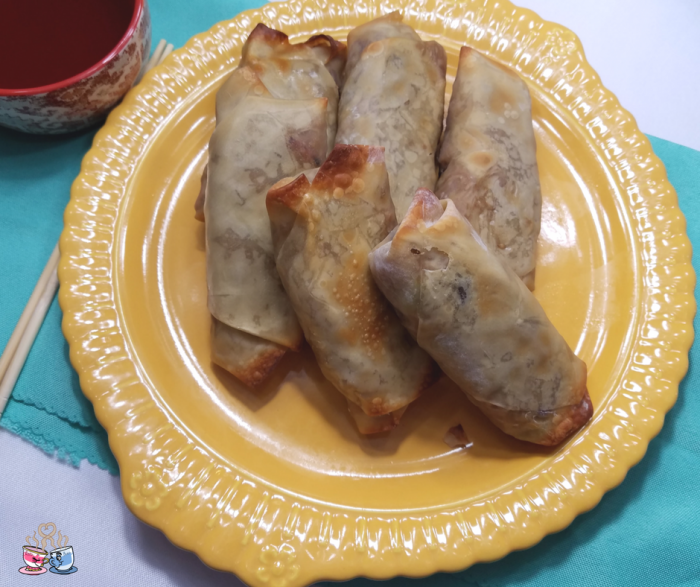 Making a stuffed homemade egg roll is a great way to add some fun to mealtime. I love how easy this is to eat and get all of the delicious flavors of my favorite fried rice, while on the go! 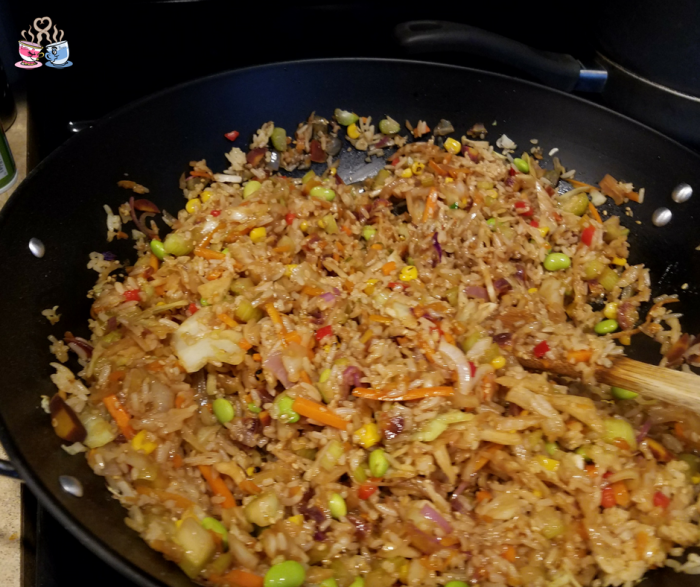 Ling Ling Fried Rice is infused with delicious flavors, and even includes roasted corn, red peppers, and my favorite protein source – edamame. That, along with the added vegetables, makes this a perfect all in one meal! This looks really good. What brand of egg roll wrappers do you use? Now THAT’S what’s for dinner!! Delicious – Thanks for sharing at the What’s for Dinner party! Looks and sounds awesome! This is my first time to your site! 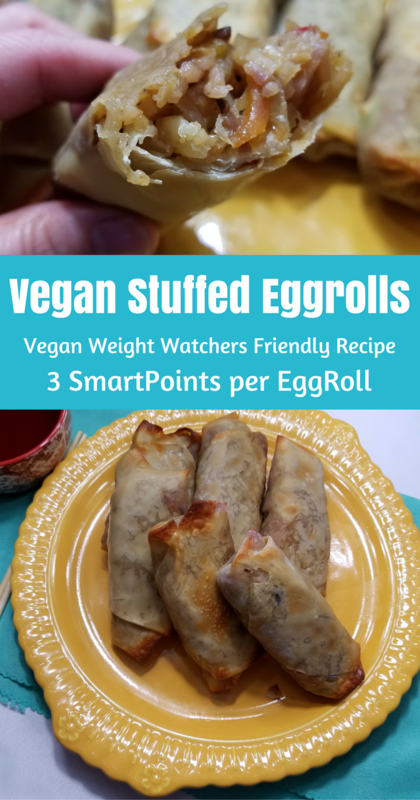 The Vegan Egg Rolls brought me here from a link-up! CHEERS! Egg rolls are my fave and these look delicious! Thanks for sharing your recipe with us on weeks Creative K Kids’ Tasty Tuesday – I can’t wait to see what you link up next week! Egg rolls are a favorite to make as well as wontons. Appetizers or a meal these always hit the spot. Never added fried rice – sounds like a great idea. Thanks for sharing with Fiesta Friday. 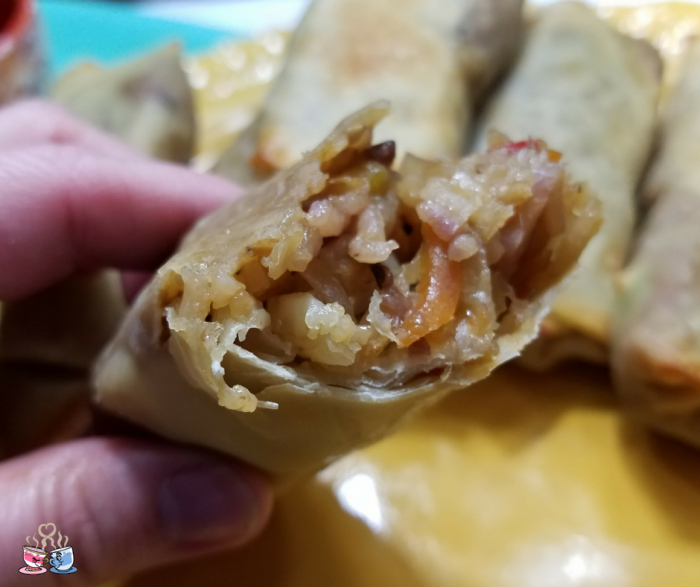 Your Fried Rice Stuffed Homemade Egg Rolls look awesome!Wishing you a bountiful Thanksgiving and thanks so much for sharing with us at Full Plate Thursday. Our Party for this week will start Tuesday Morning at 8:00 am CST.